It’s easy for your carpets to become stained, tired or grubby-looking over time and it’s not at all surprising when you think about the amount of dirt that gets walked through your home. Your house probably sees a lot of traffic, and even if you have a no-shoes-on-the-carpet rule, it’s not going to keep your floors looking pristine forever. If you struggle to get your carpets looking clean or if you’re looking to just give them a sprucing-up then you should contact our Paddington carpet cleaning experts at Paddington Cleaners. Our W2 cleaners use only the best and most advanced equipment to get your carpets as clean as possible as fast as we can, while still being affordable and offering competitive rates. Contact us today on 020 3743 9646 for a quote! If you live with pets or young children it’s important you keep your carpets as clean as possible to stop bacteria from being spread around your home. Your floors are a playground for young family members, and it’s important they remain as clean as possible to reduce the risk of your family members becoming ill. Just think about the dirt, grime and bacteria that can be left deep in the fibres of your carpet from your shoes or from your beloved pets, not to mention the stains and even unwanted odours that can form from unclean floors. Your home can never be truly clean unless you have your carpets regularly steam cleaned or professionally cleaned with a W1 carpet cleaner. At Paddington Cleaners we understand that finding the time and energy to get your carpets clean can be struggle – especially if buying your own carpet or steam cleaner is out of your budget! Although there are a great many ways you can strive towards cleaner carpets, only our NW1 carpet cleaners are going to be able to get your carpets and rugs looking and smelling like brand new! The Greatest W2 Carpet Cleaning Company Will Solve You All Cleaning Bother! Our professional W2 carpet cleaners are friendly, efficient and – most importantly - experts when it comes to getting your carpets looking their best. Have you been struggling to get unsightly stains out of your rugs or carpets? What about carpets that are becoming worn and tired-looking? Have your rugs seen better days? Our expert NW1 carpet cleaners have a wealth of carpet cleaning knowledge, meaning no-one is better equipped to tackle your carpet cleaning problems than our Paddington cleaning team! Stains, odours and marks on and in your carpets can become a thing of the past with our company, and our experience and knowledge means we know exactly what techniques are going to work on your floors – no matter how thick or delicate your carpets and rugs may be! At Paddington Cleaners we offer great carpet cleaning services for fantastic prices, which means you’ll be able to find the perfect deal for you and your home. Why not give your home a boost of freshness and a sprucing up with our help – you won’t have to lift a finger to get a cleaner house today! Keep your home a sanitary environment by calling in the carpet cleaning experts to ensure you’re getting the best and most thorough clean imaginable. Call our company today on 020 3743 9646 to find out what our W1 steam and carpet cleaners can do for you and your carpets! 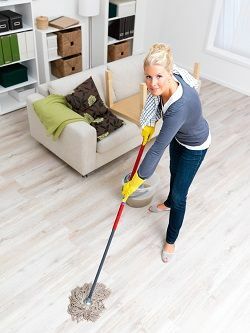 Description: Paddington cleaning company offers you a range of cleaning services W2 to choose from: house cleaning, office cleaning NW1, carpet cleaning, etc.